Why pay for a map route planner when there are mapping tools you can access online for free? Well, it turns out that the old adage is true: you get what you pay for. Free online mapping tools will show you the best way to get from one destination to another. But what if you have more than one destination that you’re going to? If you run a courier company, waste management service, or any other kind of business that requires your employees to go out and meet with your customers, you might have dozens or even hundreds of destinations you need to visit. A free mapping tool won’t be able to help you out there. They only sort destinations in the same order that you entered them in. But a more advanced route planner will automatically optimize the order of stops in your route. With a tool like that, you could cut travel time by 30% or more. Less travel time allows you to significantly reduce your fuel and payroll expenses. Reducing your expenses, of course, will increase your profit margin. Free mapping tools require you to set up each vehicle’s route individually. It won’t show you the best way to distribute your stops. You’ll need to figure that out yourself. Conversely, route optimization software is able to do this for you – just plug in the addresses you need to visit and how many drivers you have, and the software will show you the most efficient way to distribute your stops. There are many other things a road trip planner with multiple stops can do for you that a free mapping tool can’t. For example, you can set up your route planner app to avoid left turns and U-turns whenever possible. UPS saves hundreds of millions of dollars a year by simply avoiding left turns. You could save money by avoiding left turns, too. Think about it: when your driver goes to turn left, they don’t have the right of way. They need to wait for traffic to clear before they can turn. There’s no telling how long that will take, and all that idling eats up a lot of time and gas. Using delivery management software with turn restrictions helps you avoid these delays and keep your expenses down. That’s why you must make sure that the route mapping software you invest in has a vehicle tracking feature. GPS tracking shows you where your drivers are and how fast they’re going in real-time. Whenever you want, you can check in on a driver to confirm that they’re sticking to their route and staying on schedule. GPS tracking also makes it easy to reroute your drivers after they’re left the depot. That way, if a customers calls in at the last minute to change a detail about their delivery, you can handle that request without disrupting your schedule. 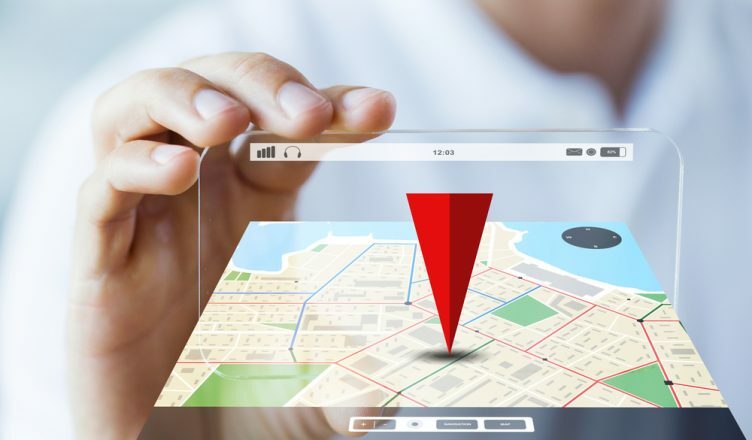 Another benefit of GPS tracking is that it makes geofencing possible. Geofencing involves drawing borders over a real-world map. Then, you can customize these borders so that certain actions are triggered when your drivers cross through them. You can use geofences to automate the check-in/check-out process. This will save your drivers ten seconds or so at each stop. Ten seconds may not sound like much, but when you consider how many stops your drivers make over the course of a year, all those seconds add up to sizable savings. Make sure that your routing software has an eSignature feature as well. The problem with collecting delivery confirmations with pen and paper is that paper slips are easy to lose. That can make it difficult to settle disputes. Customers can sign for deliveries directly on your driver’s smartphone when you have eSignature software. You’ll never lose a confirmation again. 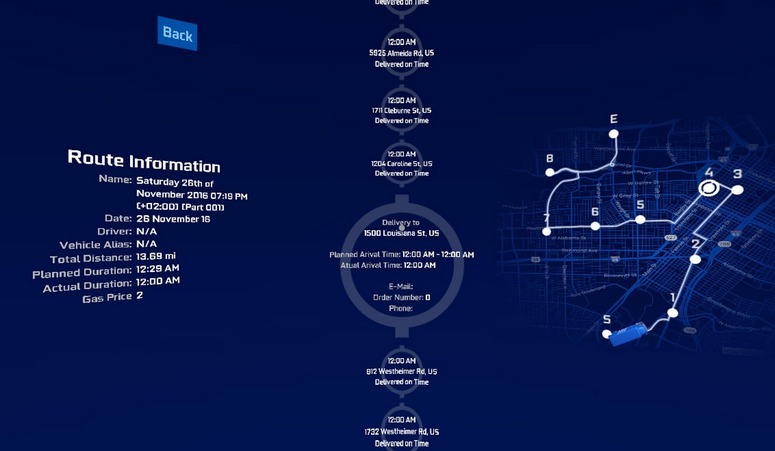 The most advanced feature that a route planner with multiple stops can offer is virtual reality. Even with the help of a route planner, it can be difficult to keep track of multiple drivers as they progress through their routes. Virtual reality will help you stay organized, as it allows you to view multiple displays in the same 360° dashboard. A free map route planer certainly won’t have that. So, do you have questions about using a map route planner? Let us know in the comments section below. 1. Do free online mapping tools allow users to optimize the sequence of stops in a route? 2. What are the benefits of GPS tracking? 3. Is using paper slips the best way to collect delivery confirmation signatures? Did you ever consider optimizing routes for school buses? As far as I can see the only added work for you might be to figure when an address is a stop how we can route the bus to be stopping on the right side of the road so that the doors open up to the child at that address. There are many national firms such as Durham school services, First Student, Garden State transport (GST) just in this area alone. Not to mention all the townships and regions that manage their own school bus transportation needs.